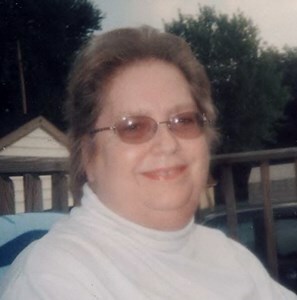 Indianapolis - Sarah Dell Siegman, 71, passed away Saturday, November 10, 2018. Mrs. Siegman was born March 28, 1947 in Clarksville, TN to the late George and Florence Benton. She served her family as a homemaker. Her family described her as a classic southern belle. She was devoted to her family, including her church family. Mrs. Siegman was preceded in death by her daughters, Crystal Drake and Maryjeanne Siegman. She is survived by her beloved husband of 52 years, Joe Siegman; sons, Rusty Siegman and James Siegman; sister, Linda Clark; 3 grandchildren; 1 great grandchild; and many other loving family members and dear friends. Mrs. Siegman’s family will receive friends Tuesday, November 13, 2018, from 6 – 8 pm at Newcomer Cremations, Funerals & Receptions, 925 East Hanna Avenue, Indianapolis, IN 46227. A celebration of her life will be conducted Wednesday, November 14, 2018, at 10 am at the funeral home. A committal service will follow at Forest Lawn Memory Gardens. If you would like to share a memory of Mrs. Siegman, or a special message with her family, please click the “Share Memories” icon above. Add your memories to the guest book of Sarah Siegman. Sarah was on of my favorite first cousins. She was always laughing and playing pranks. Linda and I were the same age but Sarah didn’t make us feel like she thought she was better than us. I am sure Mom, Aunt Marie , is welcoming her and enjoying her laughter. My deepest sympathy to the Siegman family. I worked with her daughter, Maryjeanne Siegman for many years. It was a great loss when she lost Maryjeanne and just a few months later, sadly she has gone home to be with the Lord. I met Sarah for the first time at her daughter's viewing and she was one of the kindest, sweetest persons I've met. We chatted and she was the pillar of strength during a very difficult if not devastating time. My heart goes out to the family. May Sarah rest in peace. Sarah was one of the nicest people you could ever know. Always a smile on her face, even through the rough times. She will dearly be missed. Lots of hugs and prayers for the family. I'm so sadden to see such a wonderful and caring woman leave this world. When I first met her, I was homeless and living with her grandson Joey who is one of my best friends. As soon as I walked in that front door she made me feel like I was one of her own. Ever since that day I called her my Grandma and still remember her warm hugs and delicious home cooking. Most of all her hospitality is what will live in my memories. She never turned down the opportunity to help someone. Even some one like me. A complete stranger. I'll miss you Grandma, Rest in peace until we meet again! Heaven really hit the jackpot when Sarah arrived. This lady was a treasure. Sarah would give you the shirt off her back, and then some. She never had a bad thing to say about anyone. There were no strangers in her life. She had a heart of gold. I can always remember telling her that I wanted to be like her when I grew up. She was always there for me when I needed a shoulder. I have lived in North Carolina since 2004, and although I had not seen her since my best friend Carol passed away in 2010, she has always been in my thoughts, and we kept in touch, especially at Christmas. We shared a lot of memories from working at Bindley Western. Fly high Sarah....Hug Carol for me....Until we all meet again. Joe, James, Rusty, and family....We are so sorry for your loss. I am truly sorry for yalls loss. I always felt nothing but pure love around Aunt Sarah. She will always hold a special place in my heart. You were brave strong and tough. It left me broken hearted with nothing to say. Because I did not want to hurt or grieve. I know in my heart you are in a better place, But I swear im going to miss your beautiful face. I am going to miss the talks we would have, And the stories I would tell that would make you laugh. God just needed you to come home, Yes we know it has made your family sore. While you were here on earth you did your job. Sara will be greatly missed. Fly high with the angles. Sara was one of the first to accept into the family. She was the most sweetest people anyone could ever meet. Oh you have been such a wonderful Mother to me for 35 wonderful years. You took me into your home and heart, cooked for me, treated me as your own. I love and miss you so. ? ?